"How the hell did he do that?" "Where did he come from?" "How I am supposed to hit anything with these weapons?" ... and that's just the first half hour of trying out the latest addition to the Tribes Franchise ... you'd think that was the cue for me to bemoan some poor design, or an unfair learning curve, however the experience provided is quite the opposite. Tribes Ascend is fun. Not just regular 'I am enjoying this' fun, but good old fashioned fun with a learning curve that is actually rewarding. The game first appears to be a crazily reflex driven experience that makes you instantly feel old ... unless you are one of those spritely young'uns that are actually nimble enough to consider themselves good at shooters .. I am neither young or particularly nimble so the game hit me full on. You will most likely spend much of the first hour dying horribly and often, but still having a good time. Unlike many of it's modern competition, this is a very old school difficulty. One that is far more intuitive than many of those bigger budget titles. As you play you start to see that amid the breakneck paced chaos there is indeed order, and it slowly reveals itself to you organically as you play. You start to understand the thrust mechanics and learn to aim at where your foe will be, not where they are. You start to understand the sometimes subtle, but meaningful, differences between each of the classes. You come to appreciate how those classes can allow for some wonderfully different roles to be played out on the battlefield. When you start to get the hang of it there is a genuine sense of achievement. What's more, is that the way the games are set up, in particular in Capture the Flag maps, you have those 'wow, that was cool' moments at a surprisingly brisk pace, and aside from the odd one sided annihilation, the games provide exciting moments and back and forth scoring. I can't wait to see what the serious ranked players will start making of it, might make for some good viewing down the line. It's fun, and there really shouldn't be any more of a reason required to check it out. There is another good reason however, and that's the fact that you can play for free! Can't ask for better than that. The game does have optional monetization, with class unlocks available for either in-game currency or paid points that you can pick up from the games store. Progression may be a little slow playing purely for free, but to be honest it's such good fun I'd hope most would feel guilty not showing the developers some love. I quite happily dropped a few dollars down on one of the packs, as it's most definitely worth showing the folks at Hi-Rez some recognition for a great game. Ascend is great fun. They really captured the feeling of the original games. Hopefully it is a success for them because there aren't enough pure shooters like this made these days. I don't want to play Military shooter ala EA/ACTIVISION version 25 thank you very much. 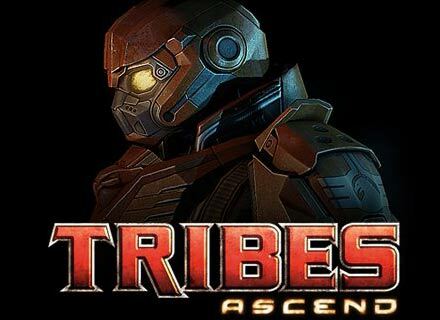 Tribes shows all the would be MMOFPS games what the have to stack up to. I would prefer that SOE and CCP take inspiration from Hi-Rez instead of BF3 or MW3. Great game! !